Getting a job is tough. Trust me, I know. We tell a lot more people “no” than we do “yes”. You see a job ad, and you become excited. You dust off the typewriter (yeah, right), and start writing your cover letter tailored for that specific position. You get 3 of your friends to look at your resume, and then click. Sometimes, a double click, just to make sure the document went through. Your application was sent. A few days go by… No problem. It was a holiday weekend. You’re thinking, “I’m sure the recruiter/employer is going through a lot of resumes.” Internal dialogue continues, “Did I cause ‘Bad Blood’ between us?? Why didn’t I get the call back? This was the perfect position for me!” Hopefully you aren’t talking to yourself, but we get it. You’re upset, and you don’t know why they decided to move forward with other applicants. In the rare case that you do get a rejection email, it doesn’t tell you what was wrong with your application. Consider your personal brand. What’s on your social media? To protect yourself, make your account private, and have a flattering profile picture. You + friends at a bar = not a good first impression for a potential employer. The first thing your potential employer will do is Google/Yahoo/Bing your name. If your clothes, pictures, and/or writing is published on the web, they are going to find it. Be mindful of what you’re allowing the world to see. Tell me something good. We can read your resume. The cover letter really is a big deal, yet most people only brag about their resume experiences in their cover letter. We want to see how those experiences actually pertain to the position. If you worked at a bank for three years and obtained customer service experience, don’t put that exact language in your cover letter. Talk about specific examples you encountered during those three years, and explain why those experiences qualify you for the job. Having a specific amount of experience is boring and doesn’t tell your potential new employer a whole lot. If you have three years of experience in an area, tell us what you did. Tailor your application. We know you’re applying to other jobs, at least we hope so. Settling for one position is risky. It’s great to put your feelers out to multiple places, but for the sake of your professional future, rename the cover letter and resume document to the position you’re applying for. Don’t address your cover letter to the wrong company. It’s a trendy technique now to add a summary of qualifications to your resume. If you add that to your resume, make sure they line up with the job opening. Lastly, make sure and save every document as a .pdf. It’s the little things. Be different. Assume everyone wants the same job. You have to want it more. It comes down to the most qualified, sure, but if you aren’t excited about the position, then it doesn’t matter. Let’s brainstorm for a second: Send a courtesy follow-up email. Like and follow the company on social media. Connect with an employee that works at the company via Linkedin. These are a few tips to help your application stand-out and show us why you are a worthy candidate. Being a part of the 1% is tough. You have to spend time on every application. As tedious as it may seem, it will pay off in the end. It did for me. HOT SULPHUR SPRINGS – Colorado. In the summer of 2011, Robby Thompson and I represented the Theta Eta of the Alpha Tau Omega Fraternity in Colorado for an inaugural “ATO Retreat.” There were already several national functions to choose from, but nothing like this… The objective of this retreat was to leave it up to God. We are the only fraternity based on Christian principles, and ATO desires to keep our foundation strong. We embarked to Colorado with uncertainty but left with a glass FULL OF GRACE! We peaked at 15,000ft at “The Ranch”. ATO partnered with Toth Ministries and JWAR (Jesus was a Rebel) to deliver God’s Word. I saw a different side of Jesus. When I left, I went from having this fear of God to walking alongside my Daddy. I made myself vulnerable, but knew more about myself than ever before. It proved to be a spiritual encounter that all of us would remember forever. We came to the party, drank from the cup and were filled with His presence. For once in my life, I was enamored by the Spirit. Six months later, the same brothers met up with Wynn Smiley, ATO National’s CEO. He graciously welcomed us into his house in Indianapolis, but he wanted to talk business. Wynn had an unanswered question, How do we keep this thing going? We debriefed the weekend from back at the Ranch. This weekend was still filled with worship and lecture, but we wanted to discuss the future of this ATO Retreat. We met at ATO National Headquarters, and it resulted in a name change, Encounter. It seemed to be a reoccurring theme with all the people who attended. Everyone had an encounter with Christ! From hearing angels to feeling their Daddy press his mighty hand on their chest… there were encounters by the Holy Spirit. The ATO Retreat would forever be called, Encounter. We agreed to recruit brothers to replace ourselves and take Encounter back to our respective chapters. With a combined effort from the ATO National Staff, alumni, Toth Ministries and JWAR, we are able to host multiple Encounter retreats to active brothers who want to further their walk with Christ, our foundation. When we began to stop worrying about the temporal and focus on the eternal, we saw growth. In under three years, we have seen more than 100 brothers impacted through this new ATO National Event, Encounter. One more thing, accountability was a huge priority for us. We wanted to stay connected and not be diagnosed with kid’s camp syndrome. If someone from The Ranch asked, “Will, what’s your life look like on a Tuesday when you are back in Alabama?” It shouldn’t look any differently because I live with my promises in front of me! To keep us accountable, anyone who has gone to an Encounter is invited to “Re-retreat” in Indianapolis. This is designed to keep brothers in Christ connected. God planted new seeds in our hearts. Now, it’s time to give what we have been given! How many pictures do you post regularly on Instagram? People don’t seem to complain about having too many tweets — unless it’s game day. They have Fancred for those couched sports commentators. One reoccurring trend I am seeing is people posting too many pictures on Instagram. It’s actually causing me and others to fabricate our personal feeds and not post what’s on our hearts. We want everyone to see us at our best. We spend $5 on the App Store offering lens enhancements and countless hours trying to get the supreme camera angle. Heaven forbid we didn’t use the autofocus on our iPhones. Are we really passionate about what we are releasing to our friends/followers, OR are we posting what is going to get the most Likes? Don’t hear me say that you shouldn’t be artsy. Filters are there. Why not use them? But I too can’t stand to be in the “Instagram Purgatory”, and only see 10 names like my photo. Crank it to 11, right? You may have had a similar conversation. Opie: Pa, check out my last Insta post! Andy: What’s the picture of? Opie: I captured this moment as Aunt Bee was sitting one of her famous pies on the window. I skipped a meal to get the picture, but it was worth it. You can even see the steam! I even gave it a fun title, “Hot and Fresh Out the Kitchen”! You know, like that song? Andy: Why did you go to all that trouble of waiting on Aunt Bee and everything? Opie: People have been posting pics of food a lot, and I bet I could get 39 likes. It could be my best picture yet! Andy: Son, that shouldn’t be your motivation. Do you post everything? Opie: No sir. Just the best. Andy: Well, does that really tell your story? Opie: You know… I guess it doesn’t. Andy: Why don’t you post everything? If you’re going to go through the trouble to take the picture, I would say post everything that comes to mind. That picture is special because it was seen through your eyes. Opie: Yeah, but I don’t want my followers to get mad that I post too much. I don’t want to be “that guy”. Andy: Well Opie, then they can unfollow you. Social Media is a platform developed for us to express our thoughts freely, the moment that we start to tailor information based on their demand, you can loose creativity. Opie: But Pa, we learned in school to post substantive information for businesses and potential connectors. That would mean that if we didn’t post our best then we could lose our reach. Andy: Like I said son, do what you want. If someone doesn’t want to follow you because you posted two additional pictures, it doesn’t matter. Not having a follower or friend on a social network does not remove them from your actual friend list. Andy: What’s the last photo you took on your phone? Is it uploaded to Instagram? Opie: No sir. I didn’t think anyone would “like” it. Andy: Son, if it’s special to you, then share that image with the world. Opie: Gee Pa, I never thought of it like that before. I was making my way out of the Georgia woods a few weeks after visiting one of best friends from college. The drive was a few hours long, so there was plenty of time devoted to singing my heart my out. After the granuloma settled on my vocal cords, I took a break and sat in silence — not common for a 90%+ tested extrovert. I needed time to think and pray. I have been experiencing spiritual aridity yet again, so I prayed God would give me an encounter in my dreams. He has given my visions before through metaphors and even revealed futuristic moments. There are no limits for the Great I Am. Arrived to condo around midnight… Eh, that sounds too pretentious, right? Well ,that’s what the sign says… Let’s start over. Arrived to my apartment around midnight, and fell right to sleep. From my recollection, I was washing clothes in my utility room, and I had thrown a pair of black gym shorts in my clothes basket. I continued washing the load, but I noticed something out of the corner of my eye. The gym shorts started moving. I immediately backed up but couldn’t keep my eyes off of what was happening. Underneath the gym shorts laid a python. I would have never expected a snake in my clothes basket. It was a white and yellow striped Basilisk too but without the horcrux. Some of my spiritual mentors always said color is crucial in encounters from our heavenly Daddy. Before the snake acted, I woke up. I thought nothing of this dream and was rather disappointed because I prayed such a sincere prayer. For all I know, it was the VMAs afterparty, Britney Spears style. It made no sense to me at all. Monday morning rolls around. We are having our FireSeeds team meeting, and I talked about my dream. Cord, CEO/President, comments and said that the color of that snake was the portrayal of Satan in Passion of the Christ. Cue the 1980’s Hollywood thunder. I had a blank stare and said, “forgot about that one.” We quickly moved on and now I am thinking about how I was possessed or something. Not a good spot to be in. I held on to this dream, and called up a few of my dream analysts (you know who you are). I told them of my dream, and then I had my “AH-HAH” moment. God wanted to tell me that Satan will come in the dark of night — as symbolized by the black gym shorts. He will appear unexpectedly — as symbolized as a snake in a clothes basket. YES! I figured it out, but wait… Satan is going to attack me when I least expect it? That’s nothing new. But for God to reveal it in such a way, this seems it could potentially be a big bite. Four years of communication classes shaped my understanding of verbal and nonverbal cues. I acquired many skills, but not the same skills as Liam Neeson. My Public Communication classes were the ones that tapped in to someone’s cognitive and analyzed how a person ticked. After a few classes, you begin to feel unstoppable. It can be dangerous if you let it get to your head. You should never make it obvious that you are examining an audience, manipulating them or acting like you don’t know what you’re talking about. Maintaining control of your audience is key. Once you lose their attention, you might as well pick the first volunteer in the crowd to take your spot. You have to be able to pick up on the nonverbals. Yawning. Dazed expressions. Lack of participation. Hands on faces. The list is endless. Every audience is different, so you have to play through a list of those endless possibilities and find which ones apply to your audience. After you have diagnosed your “nose pickers”, you have to get their hands out of their noses. How do you make that happen, you ask? Every public speaker tends to have their own method of maintaining an audience. I had one professor throw chocolate pieces (literally throw) at us. It worked. Whether it was the sugar or the force behind the throw… doesn’t matter. We perked up. A wise man once said, “Great communicators run the world.” I’m not going to teach you how to manipulate an audience or provide you with strategery (thanks, Bush). I’m simply giving you advice. I’ve seen so many people lose their cool in the middle of leading. You can find your own solution to keep your audience’s attention, but one thing you can’t do is show emotion. If your group is upset at you and disorderly, you cannot give in. The moment your audience sees you break, you lose. You’re going to have that ONE GUY who is going to constantly trying to bring you down, and you are going to get irritated. You can’t let THAT GUY take control. You will more than likely deal with people with strong personalities, and you have to find the balance in maintaining order verses going off on the eager beaver in the corner. 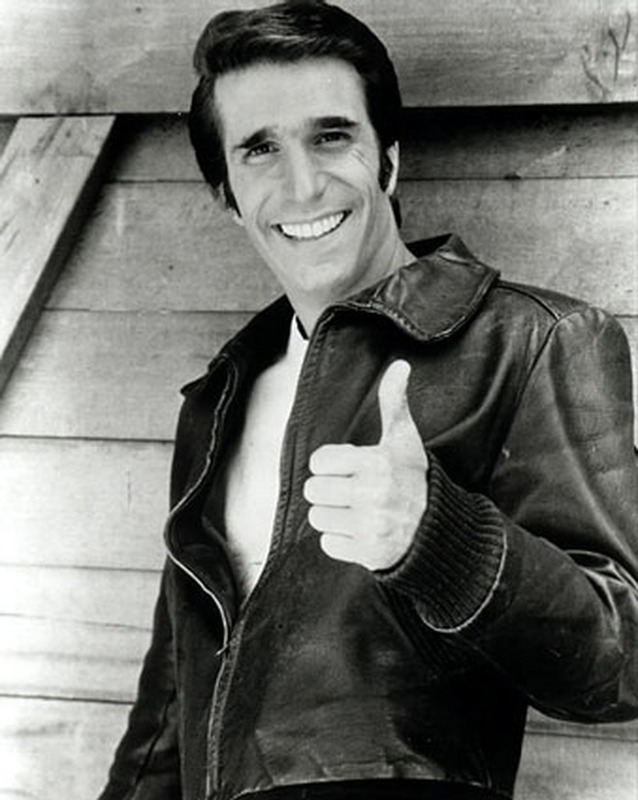 I’m not providing you with the step-by-step process on how to win over your audience, but I am suggesting to just be cool like Fonzie. I figured 36,000 feet was far enough from reality, so I’m blogging on a concept that I think a lot of people cannot discern between: Power and Pride. What gives you power? God, in my opinion. If the scriptures hold true, then the only way we actually receive power is if it is from God. The power I’m speaking of isn’t physical strength. It’s intellectual and spiritual strength. Often, people acquire a feeling of accomplishment after they have conquered an endeavor. You controlled the outcome, so you strut because you won. Victory! When you dictate reality, do you pride yourself because of your power, or do you have power because of your pride? I prefer to say confident than pride because there’s a pretentious connotation with pride. I was mulling this over. When a teacher of non-Christian theology instructs you in advancing your “spirituality,” he or she uses words. What is a catalyst for pride? Words of affirmation. The heartbeat of pride rests with words. Don’t hear me say that you aren’t allowed to accept a compliment, but be careful because people’s perception can influence your identity. I wish I could say I was powerful, but I am indeed prideful. It seems inevitable to escape from pride. If we receive a Word from God, then he’s given us power. If used incorrectly, that power will waste away into pride. Instead of just using the power given to us, we boast because we have received it. I know where your mind is going… LOVE, right? I thought I would catch you off guard. Love is my least used of the “Four Letter Words” (sorry, Mom), but it has the most impact on someone than any other Four Letter Word. I can’t answer that without citing another text. I was leading a devotion among college students, and decided to turn that discussion into a blog post. I did miss Valentine’s Day, but there is a perpetual desire to discover love. It’s never out of season. Love connotes attachment. You don’t pass love around to just anyone or anything. I learned the concept of “using love” when I was an adolescent. Love is like duct tape. When you apply duct tape to a surface, its adhesive bond is designed to sustain. It’s not the person’s intent for the duct tape to peel off. Let’s talk marriage for a sec. You place a ring on your companion’s finger. The more you take it off, the easier it begins to take off. Same principle with duct tape. It begins to lose value after you “pass it around”. 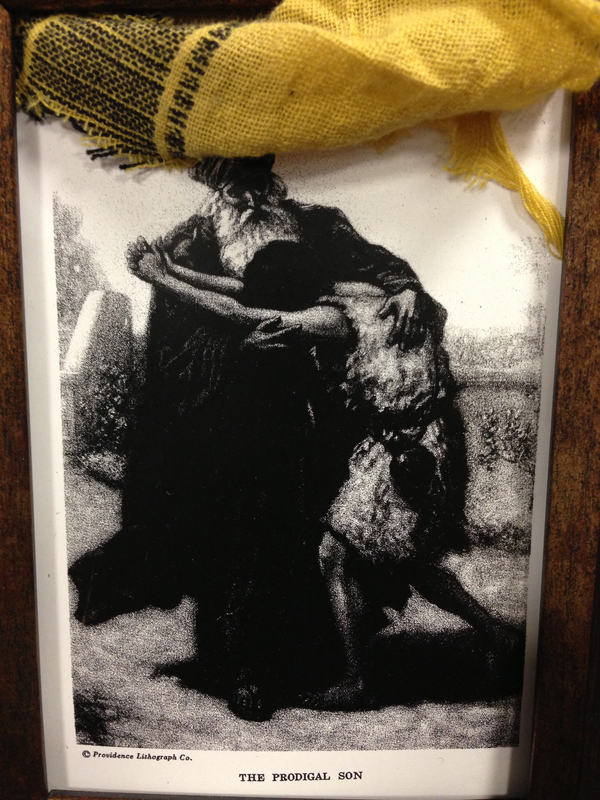 One of my favorite stories in The Holy Bible is the Parable of The Prodigal Son. If you’ve never read it, get the full story in Luke 15:11-32. In the story, there is a father with two sons. We find out that one of the sons continually asks his father for his earnings. He ends up taking half of his father’s assets — leaves his father virtually poor. What did his father do? RAN into his son’s arms. Say word? Imagine if you were the father in the story. Your son disrespected you, took your lives’ savings and squandered it all. It would hurt. If you aren’t a visionary, I’ve included the best picture I have found that encompasses love. “What is Love?” Jesus. That’s love. We are called to love all humanity with Jesus’ love.